We live in a 120 year old Victorian semi in the suburbs. 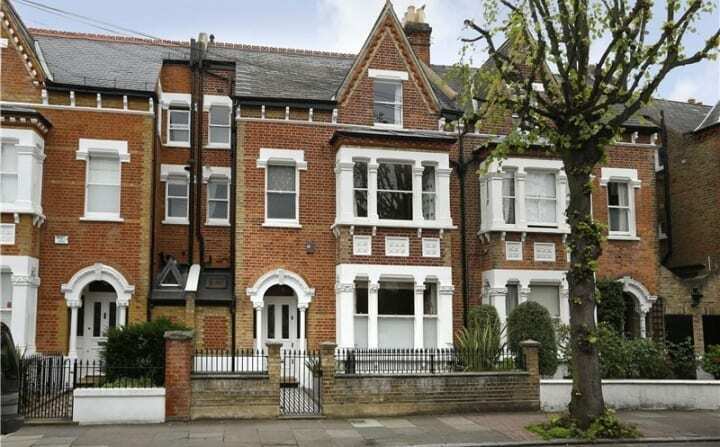 We like doing DIY and renovations which is a good job when it comes to owning a house this old. This year we need some new windows (which, I know isn’t necessarily because of the age of the house) and last year the roof needed attention. You have to be willing to both spend money on, and do work to a house of this period. We love it though and can’t see ourselves living in anything different just yet. There are issues with our type of home though, particularly in relation to a family. For example, the house wasn’t built with a bathroom, so when one was installed, they took up the smallest amount of space they could. Previous owners have left it like this so we are starting to struggle. With two growing girls, I can see it’s going to be tricky in the coming years, and we may well need to think about installing another bathroom somewhere. 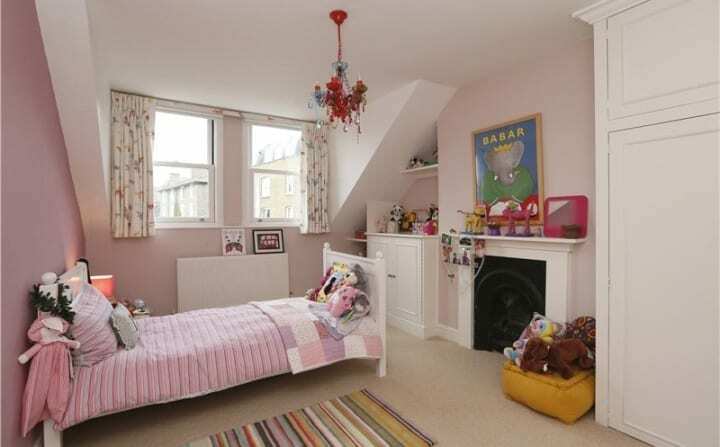 Our third bedroom is tiny too. Miss R is happy in there for now, but it’s going to be tough when she wants a friend to sleep over. You don’t have this kind of trouble when you buy a new build home do you? I’ve looked recently and they often come with a downstairs loo, an en-suite and evenly sized bedrooms. There’s usually a utility too which would be fabulous, and plenty of storage. Ideal for families in today’s modern world. Without considering modern, new build homes, do other period properties provide the right kind of living arrangements for young and growing families. I guess any home does, if you have the money to adapt and renovate. If money was no object I would love to try something like these. 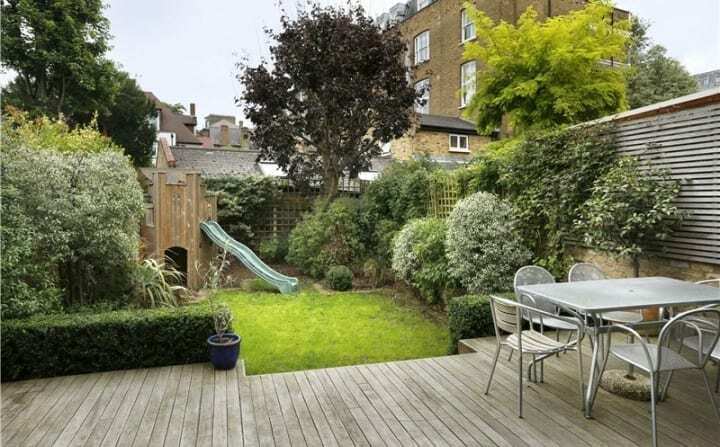 This property from Savills reminds me a lot of my own, just on a bigger scale. The living accommodation is spread over 4 floors, so whilst the rooms themselves aren’t huge, there are plenty of them, giving a feeling of real space. 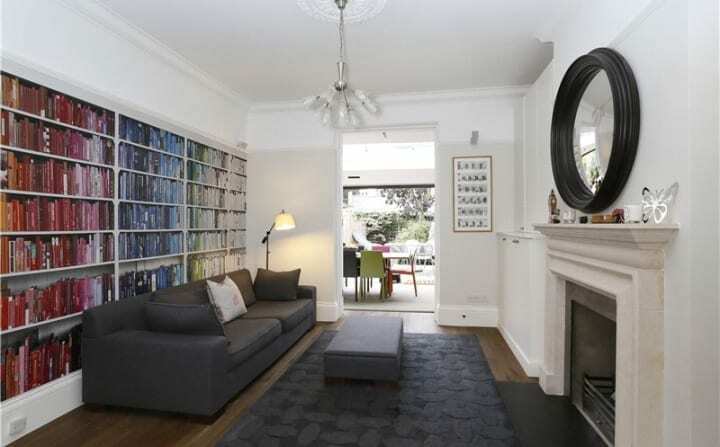 I like the fact the rooms are not oversized, giving the home a cosier, more comfortable feel. 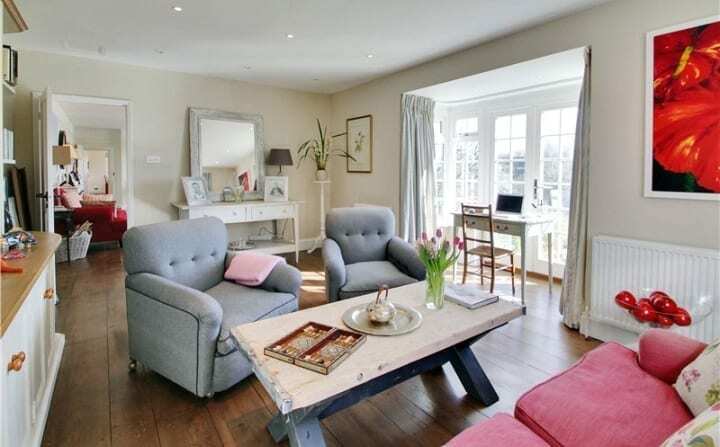 The family room extension at the back of the house is just gorgeous and beautifully done, creating a wonderful space for the family to spend time together. This is my dream! 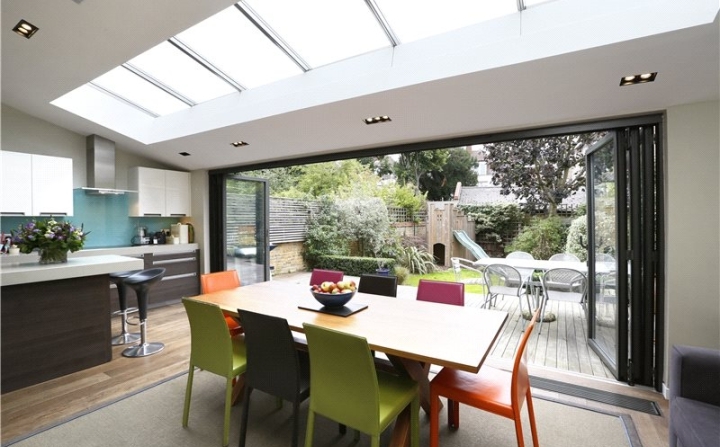 With bi-fold doors opening out onto the decking and garden, I can imagine many an hour spent here, with a glass of wine of course, relaxing whilst the children play. An ideal family home. 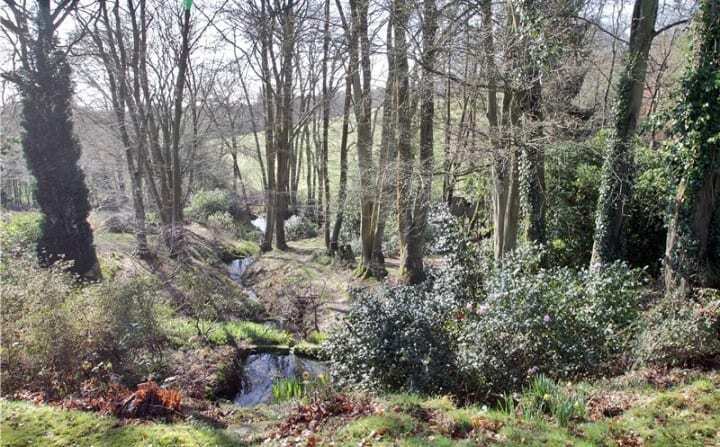 This property is a 19th Century house in a village location, again marketed by Savills, and as you can see, it has woodland at the bottom of the garden. What a wonderful setting for a family. 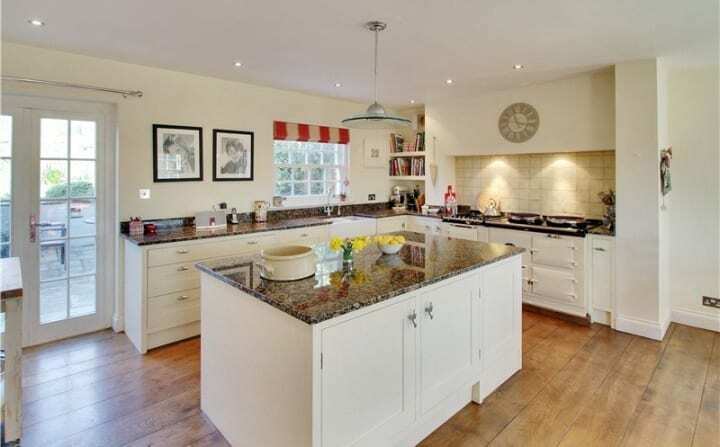 It has been lovingly converted and renovated, which is obvious I think, with thought going to how a family lives. The large kitchen diner, with central island is in keeping with the more traditional style of the building and works well for families. 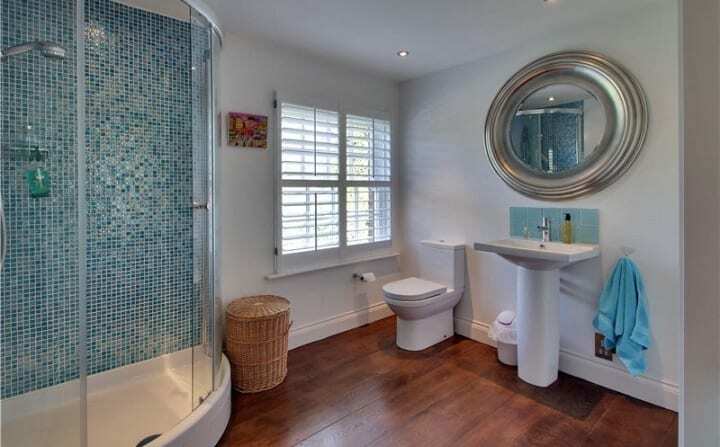 I love the bathroom with its clean, fresh lines and modern colours. And the grounds and outdoor space are amazing. 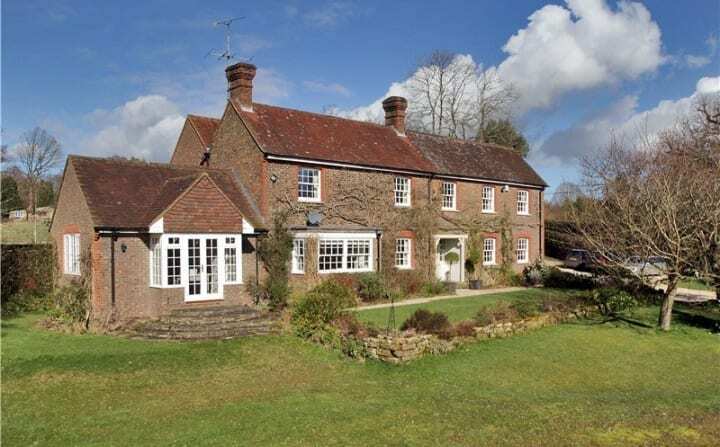 With passion, and careful consideration, it’s probably possible to turn any period property into a great family home. Some lend themselves more readily to a family I guess, but if you have the money and inclination you can make any property work for you and yours. I’m surprised by how well the older cottage has turned out, and how much I’m drawn to it. Maybe it’s all that open land that appeals. Maybe I’m getting old!